With Landon Collins and Olivier Vernon out of the picture, the Giants‘ defense has plenty of needs. Second-year GM Dave Gettleman has also jettisoned Jason Pierre-Paul, Dominique Rodgers-Cromartie, Eli Apple and Damon Harrison from the team since taking over. Collins’ reputation as a box safety, albeit one of the best in the NFL, looks to have played into the Giants’ reasoning for refusing to use an $11MM-plus franchise tag on him, with Ralph Vacchiano of SNY noting the team did not always believe the All-Pro defender was an adequate cover man. Gettleman considered the contracts handed out to both Pierre-Paul and Harrison as onerous, and Vacchiano adds neither Pro Bowl player was viewed as a plus locker room presence. That said, the Giants have one of the least talented defenses in the NFL, boasting deficiencies at nearly every spot going into free agency. It would seem that would be where Gettleman looks to improve in the next two months. While the Giants already have two monster contracts on their offensive line now, having acquired Kevin Zeitler‘s $12MM-AAV deal, they are going to pursue a right tackle in free agency. Big Blue will “almost certainly” add a right tackle on the market, per Vacchiano, who adds former Gettleman draftee Daryl Williams may be a top target. Williams was a fourth-round Gettleman pick in 2015 but is coming off an injury-nullified season. The Giants tried to sign former Gettleman find Andrew Norwell last year, so Williams will be a name to monitor in the coming days. 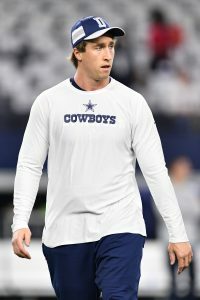 Sean Lee‘s Cowboys restructure will slash his 2019 salary from $7MM to $3.5MM, Ian Rapoport of NFL.com tweets. Although Lee has seen younger linebackers replace him as Dallas’ go-to second-level defenders, the Cowboys will keep the veteran around. One season remains on Lee’s contract. If the Raiders are now the team to beat regarding Antonio Brown, the Eagles should not be completely discounted. Philadelphia is the other destination CBS Sports’ Jason La Canfora is hearing in the Brown sweepstakes as of Saturday (Twitter link). The Eagles have been hard at work clearing cap space; they are north of $24MM now — before Michael Bennett‘s $6.2MM salary comes off their books. It would be interesting to see the team clear so much off its roster to add a player who has produced so much drama, but the Eagles have not been averse to splash moves in recent years. Connected to a safety upgrade for many months, the Cowboys may opt to seek second-tier options at this position. Extensions for their homegrown standouts may price the Cowboys out of the high-end safeties on this year’s market, Josina Anderson of ESPN.com tweets. The Cowboys remain connected to Earl Thomas, and Richard Sherman said recently his former teammate would choose Dallas if the offers were equal. Another report confirmed no discount was coming. But they may well not end up being equal, complicating this long-rumored partnership. But plenty of safety help will be available next week. 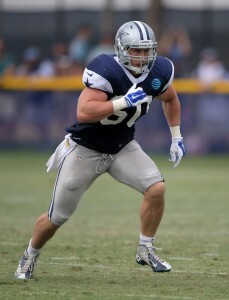 We heard recently that the Cowboys were interested in bringing back linebacker Sean Lee for one more season, and now it’s official. Lee and the Cowboys have agreed to stick together for 2019, and are ironing out the details on what his contract will look like, sources told David Moore of The Dallas Morning News. Lee is a Cowboys legend, and it was looking for a while like his time with the team might be coming to an end toward the end of the 2018 season. But Lee expressed interest in playing again, and the team is willing to make it happen. Lee has been unable to stay on the field the past few years, as he’s dealt with recurring hamstring issues and other ailments. Moore thinks the incentive-heavy deal the Cowboys just gave Jason Witten will “provide a template” for the deal Lee will get once his contract is restructured. Lee was schedule to make a non-guaranteed $7MM this season, which was always going to be untenable. Lee saw his playing time scaled back dramatically this season even when he was healthy, as rookie Leighton Vander Esch emerged. Lee has spent all nine years of his career with Dallas, and will be making it a tenth now. He’ll likely function as somewhat of a player-coach in a veteran mentor role for the 2019 season. Jason Garrett praised Sean Lee‘s work last season, one that featured younger linebackers playing a bigger role on Dallas’ defense than the veteran stalwart did. Garrett wants the Cowboys to retain Lee. Lee, though, will almost certainly have to accept a sizable pay cut to see a 10th season in Dallas. This Cowboys offseason will be primarily about how they proceed with their extension-eligible young talents, and Lee’s $10MM cap number is now untenable. Dallas would save $7MM by releasing the two-time Pro Bowler, who will turn 33 before Week 1. Hamstring injuries limited Lee to just seven games last season, and Leighton Vander Esch delivered immediately when called upon. He and Jaylon Smith are the Cowboys’ top linebackers for 2019, and both are on rookie deals. Cowboys linebacker Sean Lee expects to play in 2019, according to a source who spoke with Calvin Watkins of The Athletic (on Twitter). This jibes with an earlier report that Lee was leaning towards returning for the ’19 campaign. Lee is scheduled to make $7MM in base salary, so it’s not a certainty that the Cowboys will have him back. But, at least from Lee’s end, he feels certain about wanting to move forward in football. After the end of the ’18 season, the veteran said he’d discuss his future with his family before making a determination. Lee was sensational for the Cowboys earlier in his career and managed four interceptions in both the 2011 and 2013 seasons. He later missed all of 2014 with a torn ACL, but bounced back to earn a Pro Bowl nod in 2015 and had a Pro Bowl/First-Team All-Pro season in 2016. Thanks to hamstring injuries, Lee appeared in only seven games in 2018 and was leapfrogged by rookie Leighton Vander Esch. If he comes back to Dallas, he’ll be looking at a smaller role than what he has enjoyed in years past. He may also have to take a pay cut in order to stay. After several injury-plagued seasons in the NFL, no one would fault Cowboys linebacker Sean Lee if he were to call it a career. However, at this time, Lee says that he’s leaning towards a return in 2019 (via David Moore of the Dallas News). Staying on the field has long been an issue for Lee. Thanks to hamstring injuries, Lee appeared in only seven games in 2018 and was eventually eclipsed by rookie Leighton Vander Esch. The veteran finished out with a career-low 37 tackles and had just half a sack. Lee was sensational for the Cowboys earlier in his career and still provides veteran leadership to the defense, so it won’t be an easy call for the team. Lee managed four interceptions in both the 2011 and 2013 seasons. He missed all of 2014 with a torn ACL, but bounced back to earn a Pro Bowl nod in 2015 and had a Pro Bowl/First-Team All-Pro season in 2016. Lee, 33 in July, is under contract for one more season at a $10.075MM cap figure. The Cowboys can save $7MM by releasing him against just $3.075MM in dead money. Redskins quarterback Alex Smith is currently battling a leg infection in his broken fibula and tibia, but he’s still optimistic about resuming his playing career, according to Ian Rapoport of NFL.com (Twitter link). Doctors are removing tissue to clear the infection, but the issue remains extremely serious. Smith’s broken bone punctured his skin, which can result in increased likelihood of infection even though Smith underwent immediate surgery. Washington is now down to its third quarterback of the season in Mark Sanchez, as No. 2 Colt McCoy is also done for the year after suffering a fractured fibula of his own. Although Sean Lee himself has indicated he’ll be ready to play on Sunday, the Cowboys may hold out the veteran linebacker until Week 15, per Rapoport (Twitter link). When he does return, Dallas will need to decide how to divvy up its snaps in the second level of its defense. Lee, of course, is a superstar when on the field, but Leighton Vander Esch and Jaylon Smith are both immensely capable, as well. Pro Football Focus grades both Vander Esch and Smith as top-seven linebackers league-wide, and Vander Esch is in consideration for Defensive Rookie of the Year. Given that NFL clubs are using nickel (two-linebacker) packages on more than two-thirds of plays, one of the Cowboys’ ‘backers will have to take a back seat. Although he’s now the Redskins‘ backup quarterback, Josh Johnson still intends to play for the Alliance of American Football’s San Diego Fleet in spring 2019, tweets Rapoport. Johnson was protected as the first overall pick in a recent AAF draft, and he’ll suit up when the league begins its season next year. One of several quarterbacks — including Landry Jones and Ryan Mallett — who worked out for Washington after Smith went down, Johnson had the edge given his history with head coach Jay Gruden. He’s the only signal-caller behind Sanchez on the Redskins’ depth chart. The Eagles‘ offensive struggles shouldn’t be blamed on offensive coordinator Mike Groh, argues Jeff McLane of the Philadelphia Inquirer. Groh, notably, doesn’t call the plays in Philadelphia, as head coach Doug Pederson holds those duties. The Eagles suffered a major brain drain this offseason, losing both ex-OC Frank Reich to the Colts and ex-QBs coach John DeFilippo to the Vikings, and now rank just 20th in offensive DVOA after finishing eighth a season ago. 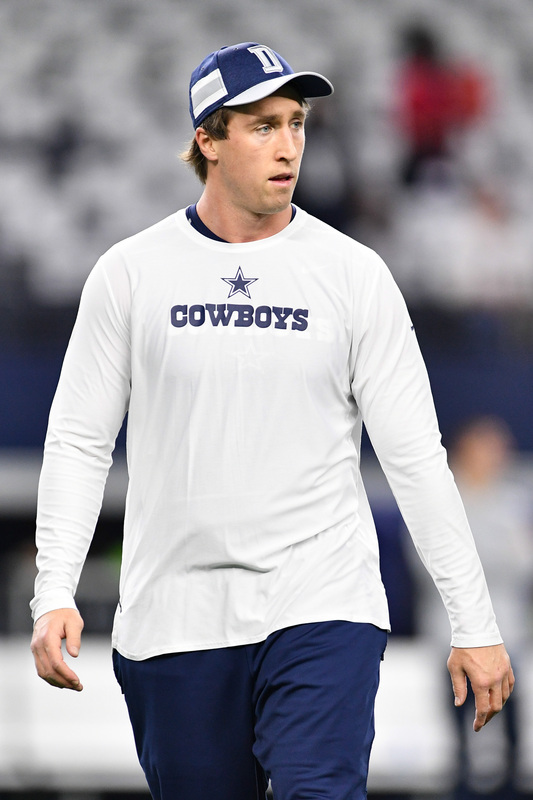 On Tuesday, Cowboys head coach Jason Garrett told reporters that linebacker Sean Lee will be sidelined for “a little bit” with a hamstring injury. As it turns out, a “little bit” could turn out to be a long while. Lee’s injury is expected to keep him off the field until December and could push his return into the final weeks of the regular season, David Moore of the Dallas Morning News hears. Lee is expected to miss the next four to six weeks of action, which means that he will be out until Dec. 9 against the Eagles, at best. At worst, that timeline would keep him out of action until the Bucs game on Dec. 23, the second-to-last game of the regular season. Lee suffered his injury in the third quarter against the Titans on Monday night while chasing tight end Jonnu Smith on a completed pass. Lee also missed three games earlier this year, meaning that he has missed a total of 13 games due to hamstring issues throughout his career. The Cowboys stayed afloat without Lee earlier this year thanks to the play of linebackers Jaylon Smith and Leighton Vander Esch. Still, they’re a better defense with Lee on the field.